Film Love brings together two significant works of the 1970s: Robert Smithson’s own film of his Spiral Jetty – one of the most famous art works of the last fifty years – and Print Generation, J. J. Murphy’s visual and sonic meditation on film and memory. As neither film has been released on commercial video, this screening will be a rare opportunity to view them in their entirety. They are accompanied by filmmaker Robbie Land’s 16mm study of foliage and photosynthesis in Grant Park – projected in the neighborhood where it was made. J. J. Murphy’s Print Generation describes its own process in its title. 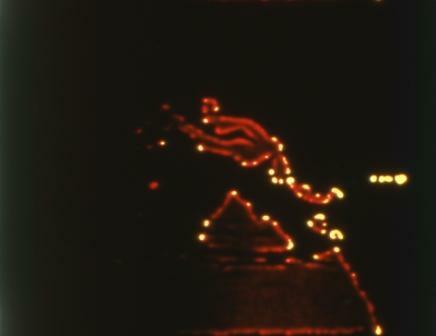 Through contact printing (a film technique roughly akin to photocopying), a section of film imagery is copied and recopied, decaying with each "generation" of printing until the imagery becomes abstract – a visually absorbing dance of chemical emulsion on the filmstrip. However, Murphy organizes this material in a surprising way, bringing up questions about film as an analogue for memory, and about the mysterious point at which an image becomes recognizable as such. 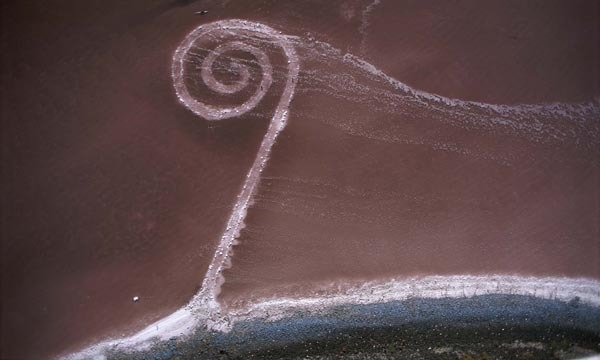 These two works are often discussed in their separate fields – Spiral Jetty as a major document of land art, Print Generation as a key experimental film of the 1970s. The audience for these films does not often overlap, yet there are many connections to be made in viewing them together: while Smithson transfers the physical site of the Great Salt Lake to film, Murphy uses the filmstrip itself as a "site" for the re-generation of imagery. 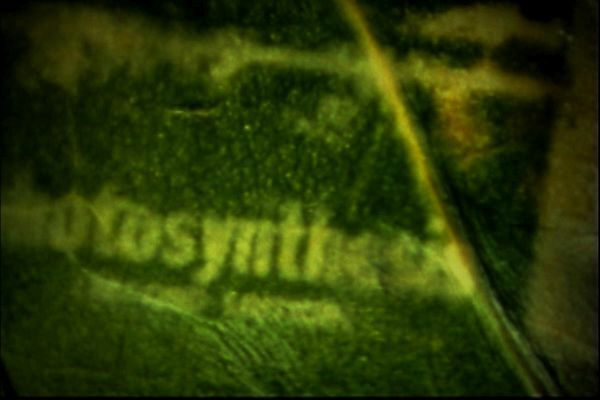 This screening, taking place at the headquarters of artisan salt maker Beautiful Briny Sea in the Grant Park neighborhood, will also feature Robbie Land’s sensuous film of chemical photosynthesis among the leaves of Grant Park’s trees. Film and Site is a Film Love event. The Film Love series provides access to great but rarely seen films, especially important works unavailable on consumer video. Programs are curated and introduced by Andy Ditzler, and feature lively discussion. Through public screenings and events, Film Love preserves the communal viewing experience, provides space for the discussion of film as art, and explores alternative forms of moving image projection and viewing. Film Love was voted Best Film Series in Atlanta by the critics of Creative Loafing in 2006, and was featured in Atlanta Magazine's Best of Atlanta 2009.